Take a look at this awesome free atami a geometric and modern sans-serif font. 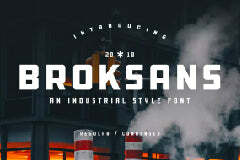 This is a downloadable free typeface file brought to you by Freebies Bug. This is absolutely cool font so you can easily make world-class designs.